I eventually got around to editing my video from Cuba, though a bit rushed at the end. I have to thank Brendan for letting me use some of his footage as well, between the two us we got something half decent. You can see it here. While away in Cuba I also took my Video camera but with all that has been going on since I cam back I haven't had a chance to do anything with it. Today I finally downloaded it to my PC and ran it through the software to let it identify the highlights. I'll get a chance to soon to edit it properly but here's what the software threw up. 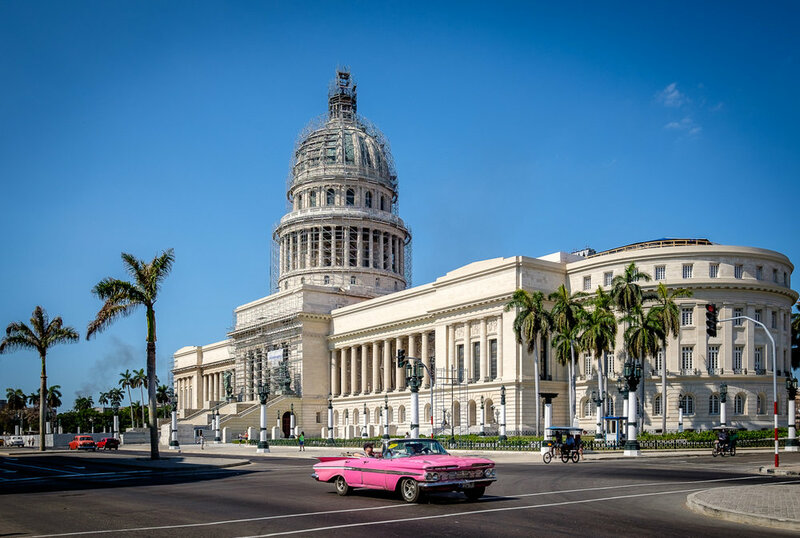 Cuba a quick view from Shay Farrelly on Vimeo. It's been nearly two months since we got back from Cuba, and I've been up to my eyes with renovations in the house which meant that I couldn't get near my PC and we've been away in Spain and Portugal for a few days as well, plus we had a confirmation in the house. So now I've finally had a chance to look at my photos, and I'm pleased that I got a few good shots, you can see them here. 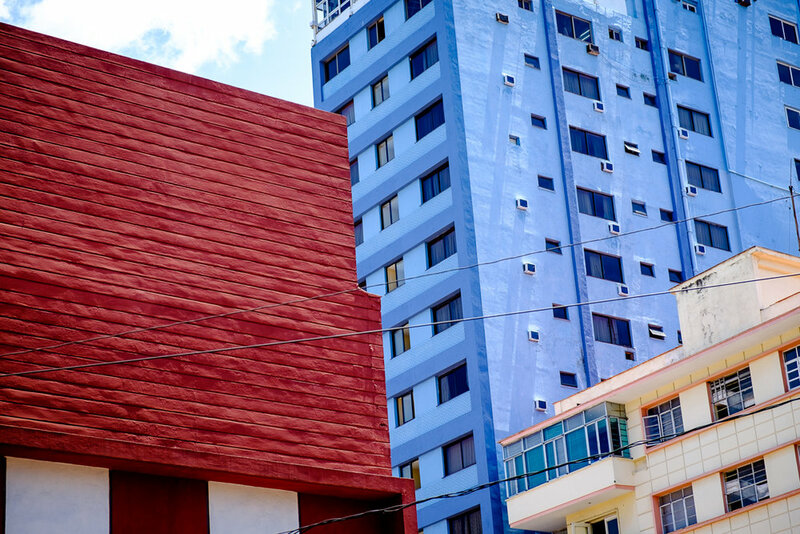 Follow these links, shots from Havana and shots from Trinidad to Cuba. Hi last night the camera club had our first major award of the year the AV photographer of the year and I was very pleased to have won it with my Audio Visual slideshow of some of my images from Cuba, I hope you enjoy it as well. 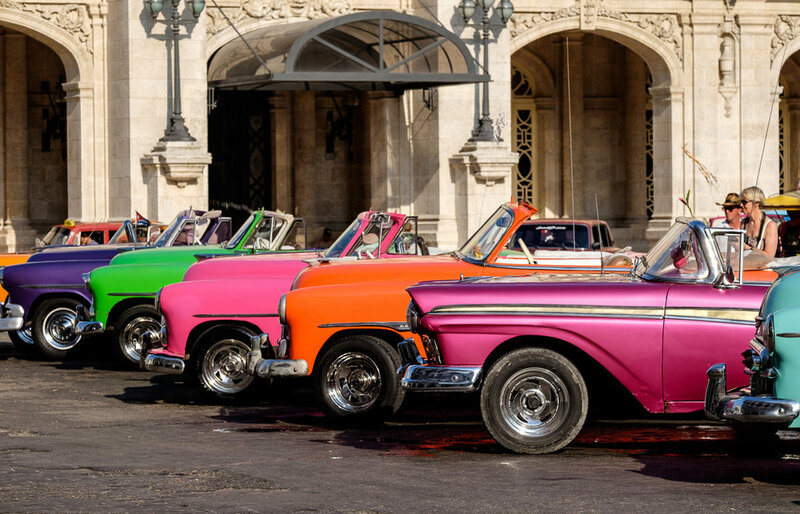 Cuba - Slideshow of images from recent trip from Shay Farrelly on Vimeo. Cuba day 11 our last day, or so we thought! Today we are due to fly home but we have a late flight home and are due to be picked up at 4pm so we still have time for a few more photos. Keith, brendan and myself head off around the streets around our hotel. We out there early in and around the small estates that live nearby. We get some more good shots but the funniest thing is that we come across a group of elderly ladies duringt heir morning exercise. There are a group in a small square of about 20 of them in a circle singing and doing gentle exercises. They see us and invite us in amongst their group to take their phots while they sing Guantanamera. They were great fun and even though they didn't speak a word of english they were very nice to us and told us their ages which all appeared to be in their 80's and 90's. It was a great laugh not sure I got any good photos but a good laugh. That was the end of the photos for this trip, or so we thought. We headed off to the airport about 4.30pm for our flight at 8pm. We were all on board for about two hours, but I knew something was wrong because after an hour of loading passengers I noticed the buses had come back again. Right enough after two hours sitting on the plane we were unloaded. We later found out that the plane had been damaged when they rolled the stairs up to it. The pilot said it would be the following day as they needed to get an engineer from Paris to sort the problem out. Once off the plane and back in the terminal the fun started as we had to get our visas back, pick up our cases and we were taken to a hotel for the night. As it happened we had to stay over for two nights. But it did mean we were able to get back into Havana for an extra day of taking photos. The trip was fantastic a brilliant place to go. I'm not sure I would bother going there as a sun holiday to spend all the time at the beaches. It's much better as a cultural holiday. What really made it though was the company, we had such great craic, there was always a good laugh and there was no absolutely rancor. Ramses was a great and a new friend to us all. He looked after us so well and joined in just like one of the gang. Any regrets, well a couple, I'm sorry I didn't get more great photos, but a holiday like this is a balance between times with friends and time taking your hobby too serious. I'm really sorry we didn't get to hear more music and go to a few clubs to hear Jazz and Cuban music. But it's always great to leave wanting more and a good excuse to come back. Our last full day and it's a Sunday, and it's a very easy going day. Lynn and myself take a walk along the Malecon to see if we can get any more photos. We are all really preparing ourselves for the long trip home, but Ramses has a real treat for us and in many ways turns out to be the highlight if the trip. He rings me to say that he has managed to get us a meeting with Liborio Noval in his house. We are to meet him on the corner of his street at 6pm. Liborio is a very fit, lean and tall, and witty 77 year old who like all Cubans loves a cigar and strong coffee. He speaks little or now English and Ramses acts as our interpreter. Liboriao is also a famous photographer in Cuba in particular and worked for an advertising agency in the 50's, and during the 60's for the journal Revolucion the review INRA and the journal Granma. In the 60's he had taken photographs of Che Guevara and spoke and work with him for from 1961. From 1990 to 2001 he was the accompanying photographer of Fidel Castro during his trips. Liborio was a true gentleman and told us many fascinating stories from his life and career. He should us portfolios of some of his work, and his house was covered with many of his brilliant images. He was very gracious to sign copies of his book that some of us took and also to allow us to take his photograph in his house with the group. I was very sorry I hadn't brought my camera. We spent over two hours which just flew by but we were just so excited it was truly amazing, and something I will never forget. The group decides to break up to do different things. A few are interested in going to the beach for the afternoon and seeing the rum museum in the morning and having a look around the port area. The others want to walk along the Malecon and some of the streets to get some photographs. I'm with the walking group and we head off early enough and we have a very interesting day. Along the Malecon there are dotted groups of teenagers who gladly pose for us and a guy playing the trumpet. 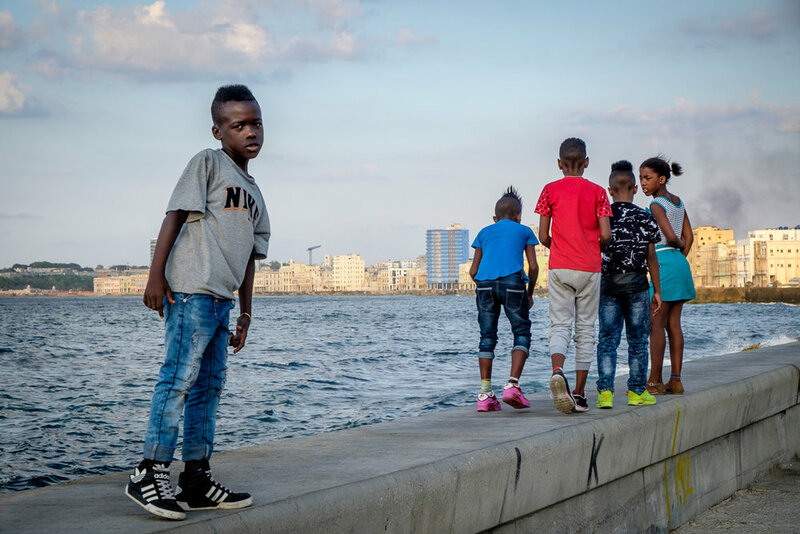 We head in a street or two off the Malecon where the house are in very poor repair but offer very good photo opportunities. In more than one case we are invited into peoples homes. We take up one invite. The insides are very small and also in bad repair. The owners are nice but we feel like we are imposing and head off again. After a cup of coffee we head to the Rum Museum and get a sandwich nearby. After that we head in towards Plaza Vieja again. This time a barber invites us in to photograph him as he works. Overall a good day photographing and tonight we will go to a restaurant with our friend Ramses. Lynn, Brendan and I decide to get up early at 7.30 and head around the village with Ramses and some of the others to get some good shots before breakfast. The sun is a bit harsh but we manage to get some good portraits. The locals are very amenable and friendly although having Ramses with us is a great help. Today is our last day in Trinidad and we decide to take a long way home through the mountains to a waterfall along the the way. So we head off early after breakfast about 10.30. It's a long wind drive through the mountains and the roads are very poor which makes the journey more difficult. Ramses stops along the way at a few sights. In particular at a farm where we are introduced to the owners and can take photos. The journey to the falls takes us a good three hours. We stop here for lunch and head to the falls for photos. It's just after midnight when we arrive at the hotel and 2am before I head to bed after we have a few night caps. The others stay up to 4am! Last night the bed was a bit hard and the pillow like a sack of potatoes, but we get a great breakfast and the family are really nice. The plan today is to go around the town with Ramses to take photos and he is a great guide and gives us plenty of tips. He introduces us to people on the street and this helps us get into it. We take our time, experiment and get up close. Ramses also gives us advice on settings and composition. After a nice lunch we relax on a beach on the carribean sea and get some sunset shots. What a lovely and relaxing evening. We head out tonight to a state run restaurant and again the food is good if not outstanding. We get back to our house just after midnight and open the locks to gain access but we have to pass the sleeping owners to got past the kitchen and then to our rooms at the back of the house. This morning up early and getting ready for the long trip to Trindad de Cuba, we are all really looking forward to this. Ramses and Keith head off to pick up the rental minibus which just about fits us all with our gear. It's a good long trip from Havana to Trinidad de Cuba and the roads are not the best, even the main motorways have massive pot holes! Along the way we decide on a stop over for lunch in Cienfuegos which is a great contrast to Havana as it is kept meticulously clean and well maintained, it makes us all think why Havana cant be mmaintained in the same way. After anothe couple of hours we arrive in Trinidad and a little confrontation between the minibus and the narrow gateway into the parking lot of our base accommodation we arrive safely and keen to get out and explore. Trinidad is also a very different world locked in a time warp with cobbled streets and humble houses and is a UNESCO Heritage site. We have decided to stay in paradores rather than in an hotel. These are like bed and breakfasts at home. You stay with a family in their home. We have three houses between us spread around the village. The lodgings are very basic yet comfortable. In fact we feel like we are intruding on the family as we have the best rooms and the owners sleep in the main room next to to front door. In fact when we come in at mid night we open up and have to pass the sleeping owners. But I would highly recommend it as a way to see and meet the local people. We have a really great meal and plan the next day. Monday, Valentines day, but it's a slow start, eventually we set out at eleven and head for the Capitolio. And today the sun comes out and it's lovely to have the warmth on your face. The Capitolio is closed for renovations for two years. So we head around the back of it to the cigar factory but they don't let you in with cameras or video. So instead we just have a coffee in the shop there and watch a lady there who they have making cigars. Next we head into the area called China Town but to be honest apart from the gateway into it it doesn't look very Chinese but we get a few more photos. We deiced to break up and a few of us head to get a bite to eat before heading down to Ramses's store. As usual times gets away from us with our exploringf and we are late as we are supposed to meet the rest of the gangs there for 2.30. 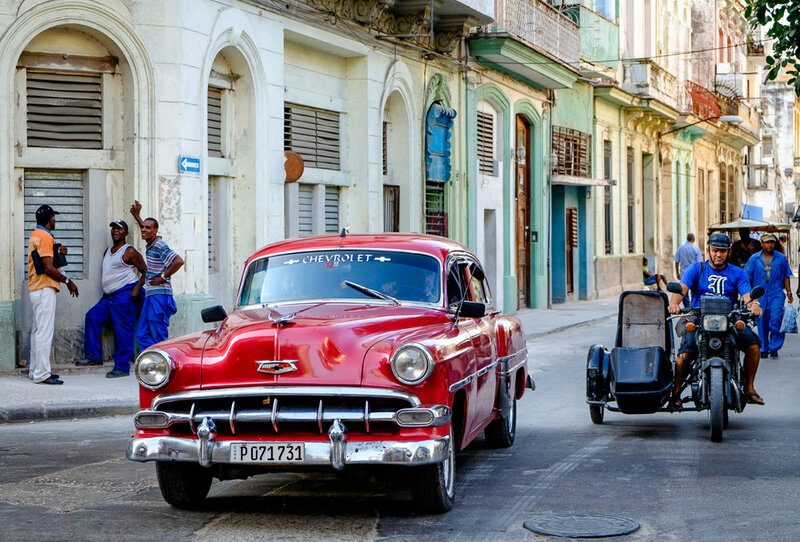 Ramses shows us his work and it is fabulous, there are some magnifient shots that he has take on Havana which inspires us to get more shots. He brings us to a local restaurant and we decide on an early dinner. Our first really disappointing meal my meal was as hard as leather. Off home early as we have to pack for our trip tomorrow with Ramses to Trinidad de Cuba which sounds brilliant. Today, Sunday, starts poorly again and after breakfast some of us decide to head early into the cathedral for mass and three of us decide to walk into the old town and meet the others in a cafe there at 1pm. It took us 3 hours to stroll in but we are taking it slowly and photographing as we go. 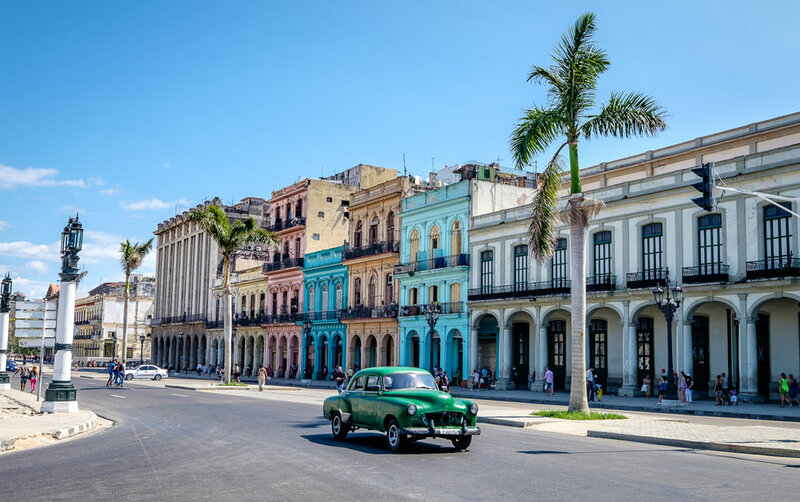 I have to admit to not knowing an awful lot about Cuba before I went, and I am looking forward to learning about here, but for quite some time I’ve wanted to go and see Cuba. I wanted to see this place that appeared to be locked in time, colourful, vibrant and with people who enjoyed the simple things in life. I felt that a lot of this would change in the coming years and that this was the time to see it. 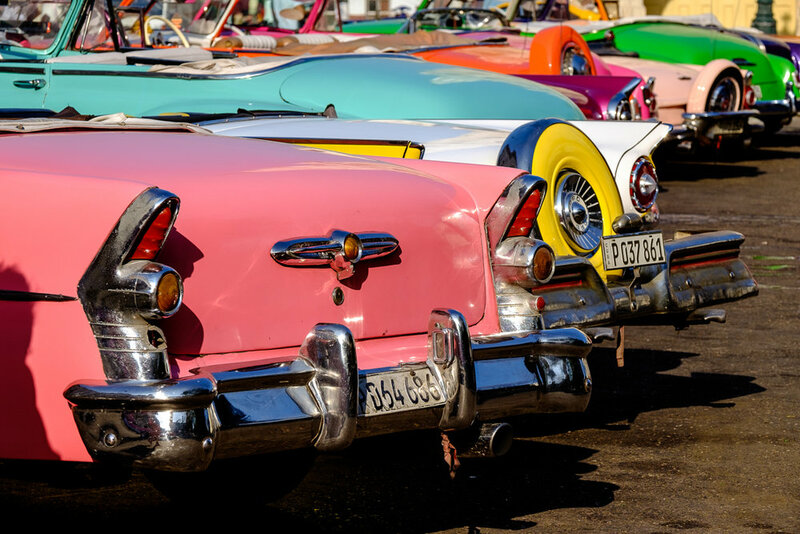 When it is said that Havana is locked in a time warp you might think that it is stuck in the 50's & 60's and that nothing has changed and that it is as pristone and majestic as the time when the clocl stopped. But that is not the case, the clock has stopped alright but since then it has been steadily crumbling, it reminds me of the time sequence in the film the "Time Machine" where he goes forward in time and all the buildings age and crumble about him. You can still imagine how majestic many of the buildings once were. But it amazes me how people live and survive in buildings that appear to be falling about them. Though everyone still look, well fed, clean and happy if not very well off. After our long and fascinating walk we get to the cafe bang on 1.00pm and have a coffee and listen to a small Cuban band. We lunch in a local cafe and then walk around the town to take more photos. the weather is fine for photos and we are getting into taking photos and asking people if they mind us shooting them. Most don't mind and some look for a peso. We arrive back at hotel for 5pm and to rest before meeting Ramses at 7pm. We have a great evening with Ramses who gives us plenty of advice and suggests a great itinerary for a two day trip to Trinidad de Cuba. The food here is much better than we expect but then Ramses knows all the best places to go. The Hotel Nacional is a grand old hotel that has seen better days. The rooms and corridors are musty and could do with a face lift. But you can see how majestic it once must have been. The rooms are large with plenty of space and the main reception area still has a grand feeling about it. The ceiling is beautiful. 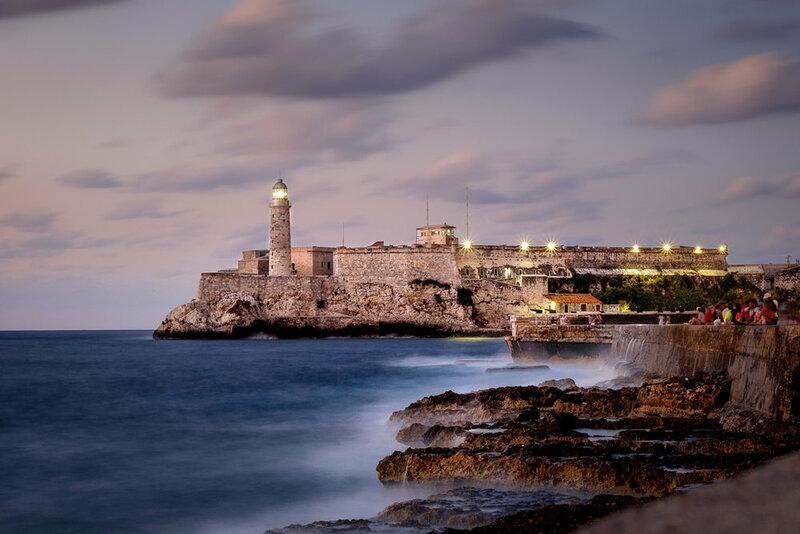 The hotel itself overlooks the Malecon, the broad roadway, seawall and boardwalk that strehches 8km along the coast from Vedado, to the Harbour Mouth in Old Havana Town. Today the Atlantic waves break high over the sea wall. In fact today the weather is very poor and parts of the Malecon is closed to traffic because the sea is breaking over the road. The hotel grounds are quite extensive with two swimming pools and a tennis court though today they are naturally empty. A nice bar is on the veranda of the hotel ground floor where one can enjoy mojitos and snacks. We head to the large basement restaurant where they put on a really good breakfast which should keep us going for a good part of the day. We are here to take photographs so even though the wind is up we decide to get out and explore. The plan for the day is to go to the Old Town, Havana Vieja, to look for our guide, Ramses, who will take us to Trinidad de Cuba for a couple of days, and then to take a bus tour to orientate ourselves. We get a feel for the town which is very run down but the people are friendly and some of us are brave enough to ask for photos and to get some architectural shots. People seem happy to pose but others come looking for money or want to sell you cigars or other tat. Our tour of the City in truth was not great, a combination of the weather and a poor route. We end up back in the old town and this time we find Ramses's shop but he is off today. Though when we get back to the hotel and having a rest before going out I get a nice surprise and a call to the room from Ramses who is down in the lobby and a couple of us meet him, and he's a good guy. We find a good Paladores, a home restaurant where we have a very good meal and head back to the hotel for a few night caps and to listen to the music on the veranda. Off to a good start let's hope the weather picks up. Well we are on our way and it's going to be a long day, but we are all very excited and really looking forward to see Cuba. We fly to Havana with Air France via Paris so we are up at six for our Cityjet flight from Dublin to Paris. We arrive in Paris at 12.15 and we have about half an hour to get through the maze that is CDG airport. After a few bus rides and plenty of queuing in CDG we get on board our flight and finally about 14.30 we take off and we have a 10 hour flight to look forward to. We will arrive 19.00 local time in Havana. So day 1 is spent travelling but we can't wait. Well we've arrived and we get our first experience of what we will come to believe is a Cuban pasttime, queuing. The queues for immigration are huge even though there are over 20 stalls. But it takes forever. Then it's the bagsk, another delay, and then we spend an hour on the bus waiting for all the passengers. We tired, hungry and getting ratty. I say we will all sleep tonight!! But tomorrow we will get to see Havana! In August 2009 a number of friends from the local camera club headed off to South Africa, Kruger National Park and Capetown. We had a fantastic time there and you can see my blogs about the trip on this site, here. While there we decided our next trip would be to Cuba. All but 1 of that gang, plus an extra two who have joined us, are now heading off in the next couple of days. We will be spending most of our time in Havana but a couple of days in Trinidad de Cuba. While planning this we met with some members of Drogheda Camera Club who had done the trip previously and they gave us some very valuable advice and contact names in Havana. I belive it is a great time of year, hot but not too hot hopefully sunny and not much rain. Plus we avoid the rainy season. I'm hoping to get some great phots and video and to see this great country which is locked in a time warp but which I expect will change over the coming years. The people, although not wealthy, are supposed to be very friendly. We fly with Air France via Paris on Friday and I can' wait!